I was asked today on Spirit Radio about rose care.Not an expert on roses but I know with all flowering plants a good foundation in rich organic soil is the key to a healthy plant. Coming into May they are should be growing well. To encourage flowers as it is all about the roses. All dead and diseased wood. Stand back and look at its shape. Branches that are crossing keep the one that will allow the plant to grow out. You should be looking for a cup shape. This allows air to circulate, cutting down on a spore bone fungus called Grey mould. If you didn’t get around to pruning in the autumn — this prevents the roses rocking in heavy wind and also aids shape development, prune lightly as the new growth will produce the flowers. Check the ground for old leaves as they can harbour the spores of last years Blackspot. Don’t add these leaves to your compost unless you know they will break down very well. Apply a mulch of well-rotted manure or simply an organic mulch which will prevent any remaining spores from splashing up not the new growth. Hopefully with a good mulch at the base protecting the soil from evaporation yours should be ok but wind can be a feature of drying — remember how our clothes dry on the clothesline, well the same applies to our plants. Keep an eye-the plant will also tell you. Roses don’t like overwatering either. Some roses only flower once and the ones that repeat will need feeding during the growing season to encourage new flowers.This can be a foliar feed or a drench at the base of the plant.I will often give a second feeding just as the first big bloom starts to develop, and one more in the middle of the summer to promote later flushes. Also, roses need to be watered during dry spells. The Alhambra in Spain is a scented garden with many roses, and it was the development of an excellent irrigation system by the Moore’s which allowed them to do so.Repeat bloomers, you can feed them several times through the growing season to encourage additional blooms. Overfeeding can produce sappy growth which is open to aphid attack – back and whitefly.Using a pressurised hose to wash off is one solution Aphids, do the same job to plants that mosquitoes do to humans, they introduce a virus. Lots of sunlight, growing in shady conditions they will not flourish to their potential. Traditionally rose were grown on their own — they can look magnificent but also awful.The advantage is that you are able to keep a close eye on them, preventing black spot and also easier to feed at once.Plants like companionship, as in isolation any visiting predators have only the roses to feast on. I like to grow mine in mixed beds, but I actually was received gifts of roses shrubs in memory of my sister Frances and ended up planting them together, but my intention is to fill up the space around them with annuals such as- Cosmos, bulbs Alliums, lavender Lavandula, Nepeta catmint, Alchemilla mollies ladies mantle, Dianthus pinks. Good companions also act as living mulches—suppressing weeds and lightly shading the soil, keeping their roots nice and cool, with their heads in the sun. Good rose companions are those that hide their bare legs. Traditionally, lavender (Lavandula), catmint (Nepeta), lady’s mantle (Alchemilla)great in an arrangement, and tall growing pinks (Dianthus) Alliums all make good partners. Good companions also act as living mulches—suppressing weeds and lightly shading the soil, keeping their roots nice and cool, heads in the sun. Alliums including ornamental alliums deter aphids and other pests by confusing them with their strong scent. They also help roses combat black spot. While garlic and chives are most commonly recommended.That is why you will see roses growing vegetable gardens. Yarrow – attracts ladybugs, which will then eat any nearby aphids. Marigolds (Calendula and Tagetes) — deter pests and help encourage strong plant growth. True Geraniums – repel Japanese beetles, aphids, and other rose beetles Another important insect in your garden is the wasp as they also feed on aphids. When buying roses, to be sure you are getting the colour you want, buy them in bloom.Although the best time is in autumn, then you might not get what you want.Most roses are planted on a rootstock, that of a wild rose, leave this exposed so that if you see the growth you can prune it away — if left it will take over. •First, give the root ball a good soak in a bucket of water for 15 minutes before you plant.If the compost is dry, it will remain dry in the hole. •Dig a hole around one 30 cm -foot deep and at least a 30cm-foot wider all around than the root ball of the plant. •Add some organic matter generously; again garden compost or well-rotted horse manure is ideal, around the planting hole. You want the roots to search out nutrition and not remain happy in its spot.Also, try digging a square hole. If you are planting in a position where there had been a rose, add some Mycorrhizal Fungi to the planting hole. Make sure the roots are in contact as they act as a bridge from the roots to the soil allowing for quicker and better root establishment. Where roses had been grown previously, the soil could be tired, another good reason to add plenty of organic matter. In Kew Botanical gardens they have completely changed the soil in their rose garden as the roses had been performing for many years and it was felt the soil was completely exhausted. Our gardens would not have had the same pressure but a healthy well-fed soil will provide great rewards, not only for roses but for all your plants. This is the tip of the iceberg concerning roses. One more thing, plant scented roses. An introduction to how to take good care of your garden. What plants to plant and how. Including lawn care, pruning, plant supports, good bugs, feeds, soil testing, composting and tools. All materials are supplied.As the classes are small (max 6) we will have an opportunity to focus on your garden challenges. Growing Herbs and using them as Medicine. Joan runs a busy practice in nutritional therapy and herbal medicine in Dalkey, where she combines nutritional support with medicinal herbs to optimise healing. Her teaching emphasises nutritional and naturopathic approaches to chronic diseases, and her clinical experience is a valuable resource for students. She is an expert on the digestive system and its relation to immunity, and the interconnectedness of body systems. Joan trained initially at the Institute of Optimum Nutrition and then went on to gain a BSc. honours degree in Nutritional Therapy at the University of Westminster. She followed this with a two-year post graduate diploma in Herbal Medicine and is now practising in Dalkey, Dublin as a Medical Herbalist and Nutritional Therapist. She is a member of the British Association for Applied Nutrition and Nutritional Therapy, Nutritional Therapists of Ireland, National Institute of Medical Herbalists and Irish Medical Herbalists Organisation. Joan has a particular interest in the areas of stress, anxiety, adrenal fatigue and other chronic health and digestive problems and regularly attends medical and nutritional seminars. Her interest in environmental medicine has led to involvement with the anti-fluoride movement in Ireland. Joan, a keen gardener, is interested in growing her own food and using foods from the wild. Patrica Tyrrell will be here next Saturday 24 10 -4pm a day-long master class on Plant Driven Design. Patrica is a Bloom Gold medalist and lecturer and will help you really think about what to do and how Lunch is included. Whats the difference between a Snow Drop and a Snow Flake? Galanthus spp have two distinct whorls of corolla segments (“petals”), arranged so that the three outer segments are large and usually unmarked, while the three inner segments are smaller and form a tube in the centre of the flower. They usually bear green markings at their tips and sometimes at the base as well. Members of the genus Leucojum, have six corolla segments(petals) of equal length, each tipped with green or yellowish-green. 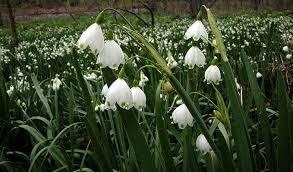 Their leaves are also usually glossy bright green, and the plants look much bigger than a snowdrop. The spring snowflake is, and the summer snowflake, or London lily, is L. aestivum. Galanthus spp. commonly know as Snow drop comprises since February 2012, from the World Checklist of Selected Plant Families recognises 19 species:A 20th species, Galanthus panjutinii (Panjutin’s snowdrop), was recognised during 2012. Discovered in five locations in a small area (estimated at 20km2) of the northern Colchis area (western Transcaucasus) of Georgia and Russia, it is classed as Endangered. One of its five known sites, at Sochi, has been destroyed by preparations for the 2014 Winter Olympics. Galanthus nivalis as the most common. Galanthus nivalis is admired for its delicate beauty; millions of plants are sold each year by the horticultural trade. 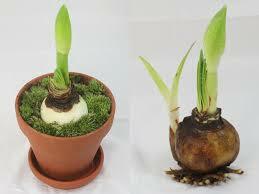 It is one of the most popular of all cultivated bulbous plants and is widely enjoyed as an outdoor, early spring flower.Best time to plant is when they have finished flowering and are in the Green, also as the bulbs are so tiny it is much easier to choose the sites where you wish to enjoy them the next year. The common snowdrop also has medicinal uses, for example it contains an alkaloid, galanthamine, which has been approved for use in the management of Alzheimer’s disease in a number of countries. Galanthamine is also used in the treatment of traumatic injuries to the nervous system. Galanthus nivalis is also an emmenagogue ( herbs which stimulate blood flow in the pelvic area and uterus) and as such it stimulates or increases menstrual flow and so can induce a natural abortion in the early stages of pregnancy. Snowdrop lectin (GNA; Galanthus nivalis agglutinin) is also being studied with regard to its potential activity against HIV (human immunodeficiency virus). Snowdrop lectin is also an effective insecticide, and can be used against pests in the orders Coleoptera (beetles), Lepidoptera (butterflies and moths) and Hemiptera (true bugs including aphids and leafhoppers). Research has suggested that snowdrop lectin could be a candidate for introduction into genetically-engineered crops, such as tobacco and tomatoes, to increase their resistance to insect pests.This is perhaps where Geneticaly modified crops (GM) could be good, but all need to be very well tested before such seeds are released into the open. Also. bio diversity, is critical to our well being, acceptance of imperfection is also worth while.??! Bugs we think are bad are food for something else. Hippeastrum from South Africa and Amaryllis from South America. Quite often we receive them as gifts at Christmas. 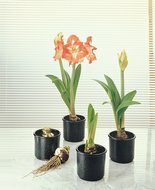 They are very large bulbs and not cheap. 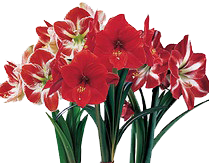 As gardeners, the trill is always to have our plants for years and rewarding us with their blooms.Hippeastrum, which is very similar in appearance to Amaryllis, except Hippeastrum has its origins in South America and the other – Amaryllis – South Africa. In order to keep it healthy and flower again, throughout spring and summer feed with a balanced liquid houseplant fertilizer. and water once a week( keep it well drained). deadhead spent blooms, remember the primary reason for a flower is to produce seeds, and as we don’t want the energy going into seed production remove the stamens early on (preventing pollination) and this also helps to prolong flowering. You can leave them outdoors during the summer, so as to enjoy extra light and humidity, protect from slugs.By placing them out of doors you are exposing them to a healthier environment and they can add to your pot display without thier flowers. In autumn bring back into the house, as they require a temperature of 9 -13 C from mid-November for around 10 weeks, keep the compost moist, stop feeding, remove old yellowing foliage, do not dry off bulb or cut new healthy foliage. If bulbs have outgrown their container, or they are in the same compost for more than two years, replant into a free draining compost ( one part perlite two compost – similar to a cutting compost mix). Move plants into a bright position with a temperature of 18 c ( window sill, near a radiator) to stimulate flowers, also while growing restart feed but at mid-strength, until after flowering, returning to full feeding until November. To prolong flower life move to a slightly cooler position.When flowering has finished, in order to rebuild the energy stored in the bulb. Very glad you enjoyed your flowers. 35-40cm size of the seed weighs 40 kg (88lbs) — the worlds largest seed — imagine that falling on your head!!! Arctic lupin seeds were found to be viable after 10,000 years lying frozen in the tundra.Dandelion can travel 200 km in a storm, fern spores have been knowing to travel 200 km from their parent. Seeds such as cleavers are responsible for the invention of Velcro. A seed holds the complete DNA of every cell, hair, vein, leaf, petal and root, is preprogrammed and waiting for germination. Some seeds germinate immediately some can take years, Some need to be digested by animals, some need fire for a trigger ( many S. African and Australian plants) Some need periods of cold, winter before their seed coat will break open.Have you ever wondered how a Buddleia ends up growing out of a chimney pot? Ferns are interesting as they don’t produce flowers and for a long time were not understood.There are 2 distinct stages in the life cycle of a fern.They produce spores from the underside of their leaves, which are dispersed from the fern and they germinate. After germination, they grow into small heart-shaped plants known as prothalli. male and female cells are produced on these plants and after fertilisation, the adult fern begins to develop. Germination is triggered by water, heat and air found in soil/compost. 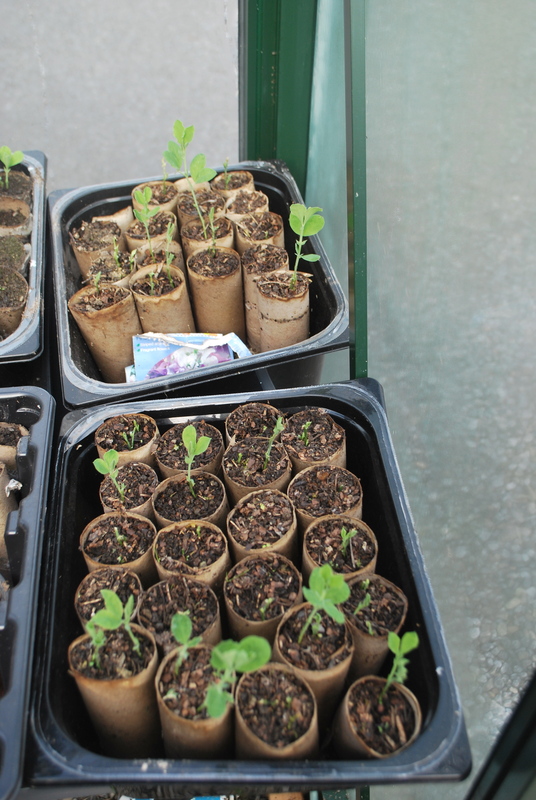 As light levels rise you have less risk of seedlings becoming very leggy-sweet pea — don’t panic, pick out very leggy shoots and this will encourage a stronger stem. Growing indoors allows us to cheat winter a little allowing a head start using best compost.I sow tomatoes seeds, your opportunity to grow unusual varieties. Irish Seed Savers, Brown Envelope Seeds, Green Vegetable Seed. Seedaholic– great information with their packets. Some seeds to sow now ( February) undercover — either in a greenhouse or a window sill.It is still too cold but as soon as temperatures begin to rise – March? You could begin to Harden them Off – which prepares them for the great outdoors. Also when you sow seeds they are sown into a compost that has very little nutrition-they don’t need it as the seed comes with its own food supply. As soon as the true leaves appear the seed has become a plant and it now will require feeding — planting on. Overcrowded seed containers lead to poor growth, as there is not enough space for the young plants to thrive, therefore you have to “thin out” the seedlings, and plant on the stronger ones. Some seeds to start now-February- seed packets will give you lots of information. Tomatoes – like a bit of bottom heat to get going. Marigolds (Calendula and Tagetes species) and sunflowers (Helianthus cultivars) can be started off indoors to create flower displays for the summer. 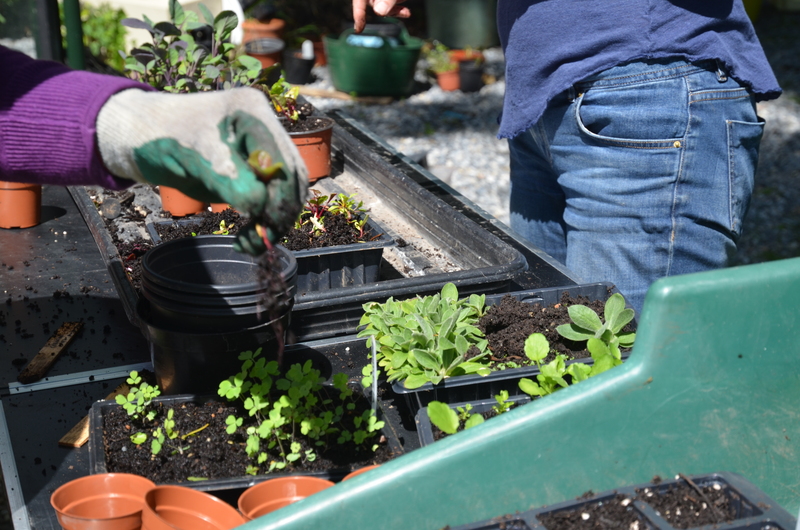 Outside: Weather permitting you can try planting out broad beans, spinach, kohlrabi, onion and shallot sets, Jerusalem artichokes, parsnip and early pea varieties. Always label your seed trays, Name of seed, Date. Deciduous trees and shrubs are about to “break bud”the garden is waking up, time to plant bare-rooted trees and shrubs, which are cheaper to buy now and easier to plant. The younger the whip the better it will settle well into its new home. Don’t forget to stake when planting the tree, when necessary.Don’t plant if the ground is frozen or waterlogged. 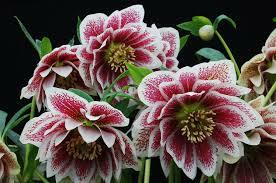 Hellebores are in full bloom, so its great time to buy them in garden centres. I consider them “Excellent Value Plants”.Remove all their leaves ( they will regrow ) this allows you to see and enjoy the flowers and also make it easier for pollinators (Bees) to get in to fertilise the flowers and make new seeds. 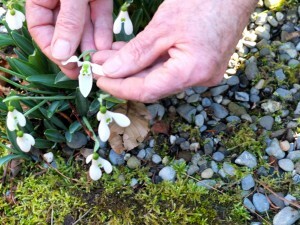 Snowdrops [Galanthus) are popping up, people who go nuts for these tiny flowers are called “Galanthophiles”. Daffodils-Narcissi — remember the ones you planted in the autumn? Should be looking well now and going into March. Traditionally we planted potatoes on17 March – St Patrick’s Day, which you can but sometimes the soil can be too cold or wet-quiet often it is best to wait until April.The optimum temperature for growth is between 5-7 degrees.There are hundreds of varieties and cultivars and 3 different types of potatoes.First earlies, earlies and main-crop. The seeds you planted earlier will need to be pricked out into cell-trays or modules, using a good quality seed compost with some nutrition.Divide clumps of ornamental grasses and bamboo now. Comb through and Cut back spent ornamental grasses-such as Stipa tenuissima. Divide ornamental grasses and bamboo.Tidy up and allow the new shoots to come through. 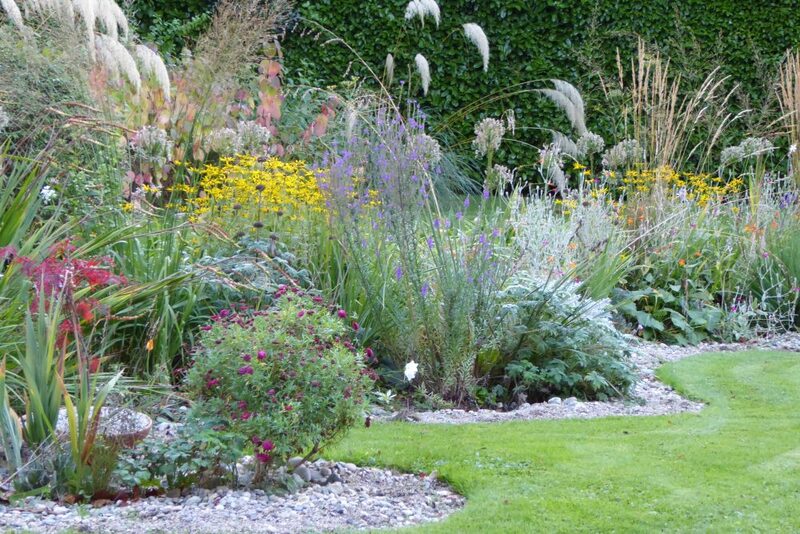 Divide large clumps of perennials that you didn’t get to in Autumn.Replant, pot up and keep until you decide where you wish to replant them, share them with friends, sell them at plant sales, compost the tattered bits. Snowdrops (Galanthus spp)are now in full flower when they finish flowering, divide large clumps, and place them where you would like to see them next year. Share some with friends. Check Dahlia Tubers and start to get pots ready-starting Dahlias in pots allows for strong early growth. You can take stem cuttings from the new plant, when in growth and have the cuttings producing blooms later on in the year. It also helps you to prevent slug attack as you can spot it earlier.If you have managed to attract hedgehogs, frogs to your garden they will help you with a slug problem, and also all the birds you looked after will now eat your snails. This I consider fare exchange and balance. 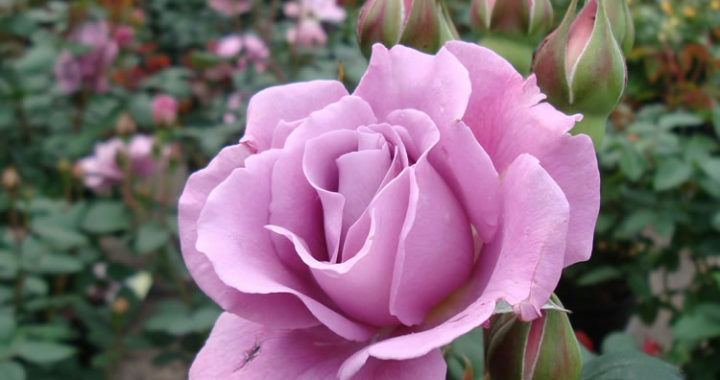 Start to prune roses-they produce their flowers generally on new growth. Prune wisteria — the whippets which grew last year. Cut back Cornus alba ( to encourage new growth)-that lovely red or yellow stemmed winter shrub. If it is not pruned you lose the young coloured shoots for next winter. Autumn fruiting raspberries should be cut back to the base, as fruit will be produced on new growth.Again, hoe gravel paths, vegetable and flower beds, keeping weeds at bay will be very rewarding later on.Hopefully, you did get your mulch onto your beds in the autumn, now with lots of rain, if the soil is not covered try to cover it now either with a mulch or even leaves, protecting it from erosion and damage. Remember as temperatures increase, slugs begin to surface and commence their eating, They don’t know the difference between your Dahlia and a weed. Be vigilant and pull back large clumps of compost from plants, so as dissuading a slug from an easy dinner. Apply slow release fertiliser such as chicken pellets in areas where there are lots of bulbs.This is the time to feed bulbs, as they are emerging out of the soil.Having a mulch of FYM or Horse manure is an overall feed also for the emerging bulbs. Cut back spent growth, again hedgehogs etc are still hibernating — not too much and be aware. Feed birds-much of their habitats have been removed, for nesting as well as for feeding, therefore we need to give them a hand.Domestic gardens are of great benefit to all creatures besides us!! Make sure there is water available for all garden creatures, we are all 80% water. Finally, we have some very unique and special products for my gardening friends. Deirdre Crofts and Cera Doyle have come together producing a collection of Plaques using Plaster of Paris mounted on Mahagony and Walnut frames reflecting their love of nature. 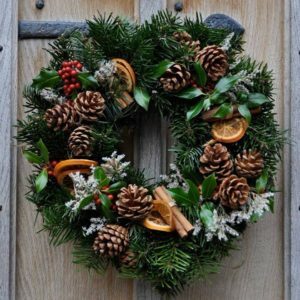 Sunday November 26 Christmas Wreath Making Workshop. 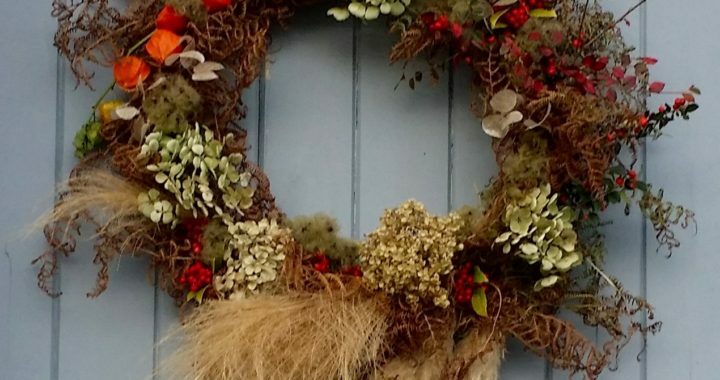 Create your own personalised Christmas wreath, using natural materials gathered and foraged in Co Wicklow. Learn how to do it, bring it home and continue making your own.Enjoy some Festive refreshments to kick start the season. Sally Horn from The SallyGarden, will help guide you through the process in this 3 hour workshop.Sally is a florist, who sells Irish Organic grown flowers in Killruddery Farmers market every Saturday, throughout the year. Her style is natural and informal, using country cottage flowers grown in her garden or sourced from The Irish flower Farmer from early spring until late autumn. During the winter,she forages locally and buys flowers in from mainland Europe.